I find myself writing a third chapter in my saga of expedition vehicles. I never intended it to work out that way. 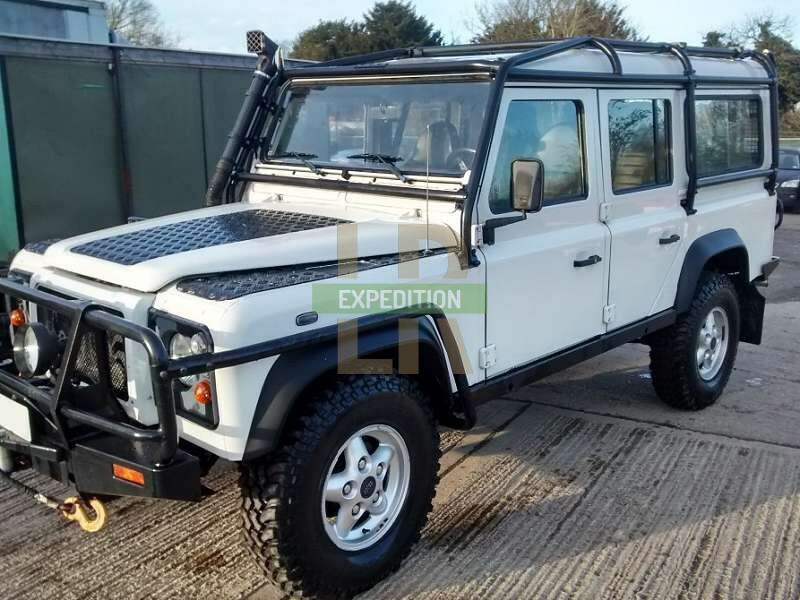 My first expedition vehicle was supposed to be "the one". But a couple of things had happened: the end of Defender was close, my love of ROW spec Defenders was getting stronger and the economy/low interest rates was making it pointless to hold cash in bank accounts. My solution was to find a vehicle in good condition that I would either want later in life or would be able to use as an investment and get my money back. 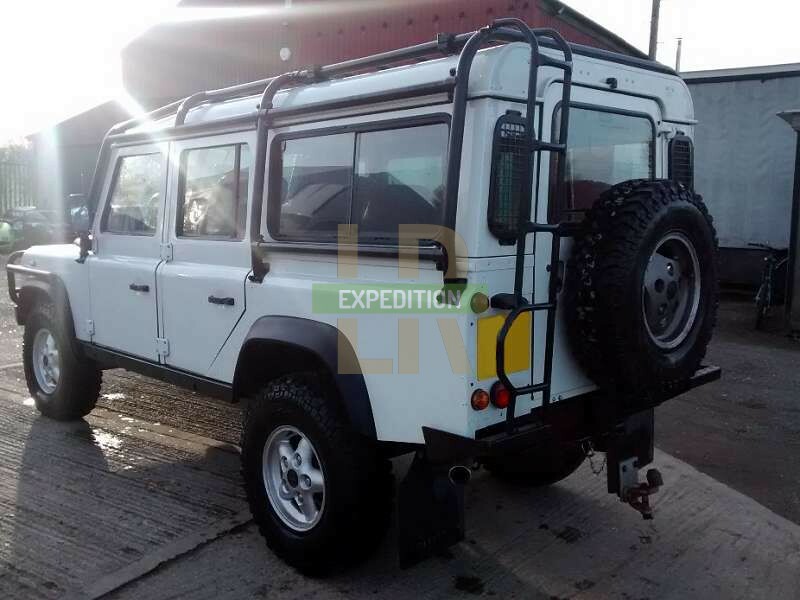 As is the key to finding your perfect expedition Land Rover, it took time. Trawling ebay, forums and car ads for over a year, I kept my fingers crossed. Should I go for a Puma? They are holding their value better then older vehicles did at the same age. Or maybe a Td5? But the last of the Td5s have huge tax burdens. ROW spec was what I was gunning for. There were a couple that got away - I didn't move quick enough. But they weren't that top notch either so maybe it wasn't a bad thing. Until I saw the one I eventually purchased. It was Left hand drive, which in my eyes is a bonus for an expedition vehicle. It was ROW spec (ideal). I only had 39k miles, so was pretty good condition and as a 2004 model, had the P38 rear diff. The 300Tdi had been converted to a 2.8TGV, so had more torque to rival the more modern engines. The real plus points were that it was already an expedition vehicle. It's well known that you never get back what you pay for accessories if they're sold with a vehicle, so to purchase a vehicle with these toys can be a very economical buy. 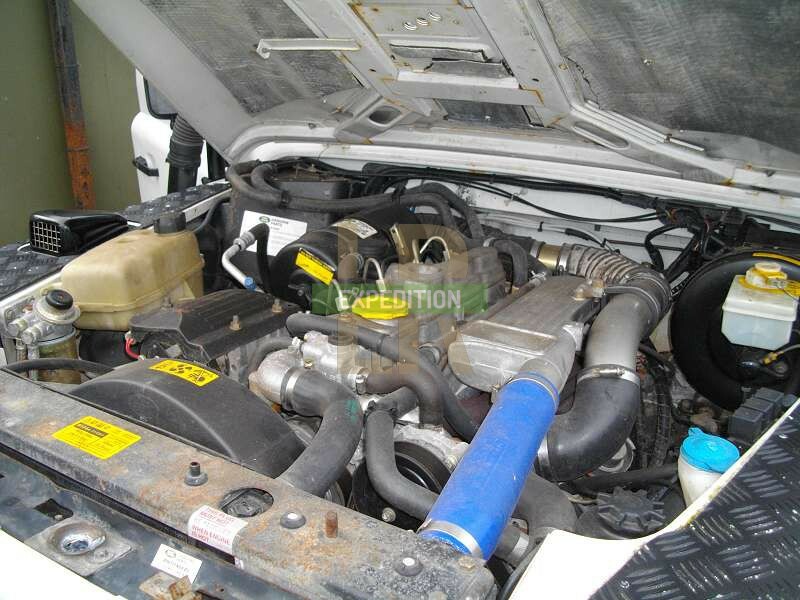 The seller was a garage that had bought it to tow trailers on the continent, but the vehicle had sat for about 3 years unused, the steering box was leaking and was a bit rough round the edges. This gave a little risk to the purchase, but being a trade sale I knew that they had to provide a small warranty and MOT. After driving it though, I knew I wanted it - it drove well, with a tight transmission, the engine didn't smoke and it'd had a recent respray. It had all the qualities of a low mileage vehicle and was covered in toys. Naturally, I didn't let the seller know that I was that keen. I haggled on the fact that it was a risk to me with it's recent history, and managed to get a 13% discount with a new steering box thrown in. 2 weeks later I booked a day off work, organised insurance that morning (unfortunately it's spec made it a premium price), got on a train, hailed a taxi at the other end and drove home 3 hours in my new purchase; grinning from ear to ear. 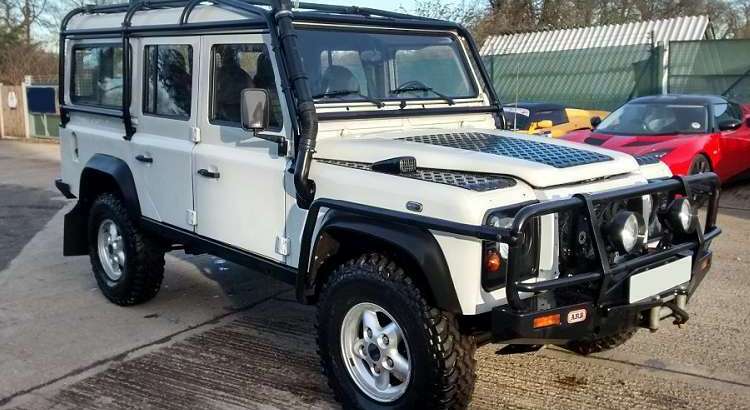 It didn't matter that i'd just demolished my savings as I now owned a LHD ROW spec Defender 110 SW! The advert alluded to a few upgrades and said the vehicle would cost cira £50k to build new. I think that was a little overinflated, after inspecting the vehicle it had a lot more on it than advertised. I noticed most of this when I viewed the vehicle, over the course of the 1.5 hours I spent inspecting it. The more I looked, the more I found, so it started to give me the feeling it might be a good buy. It really pays to spend a good amount of time with the vehicle. The most fascinating thing about a vehicle that hasn't had one careful lady owner, is the sort of life it might have had before you get your hands on it. From what I was told and what i've since found, I've got a bit of a hunch as to it's history. 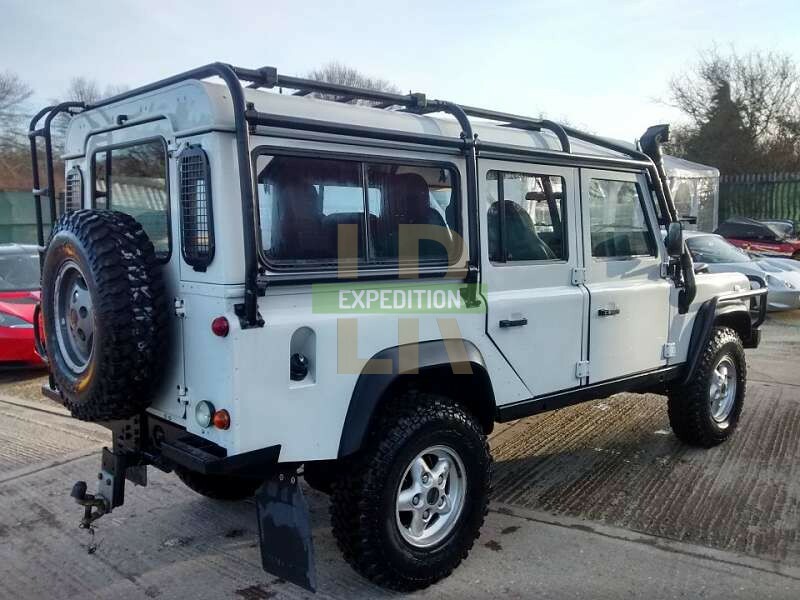 It has a registration number that is typical of a Keith Gott supplied ROW Defender, so it makes me think it was registered in the UK from new. 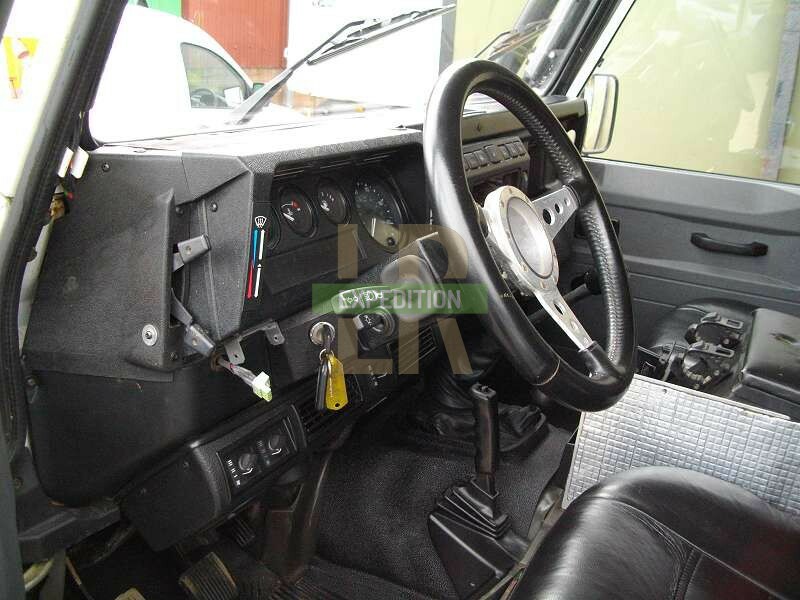 The engine conversion and most of the accessories were fitted from new and I was told by somewhere like Foleys/Nene. I believe it has spent some time in Australia, as a lot of the accessories fitted are Australian brands (Warn, ARB, Piranha) and the seat belt labels are certified to Australian laws. The rear air con is very unique, so the environment must have been particularly hot. I then believe it came back to the UK where it had a semi-rebuild, getting a respray, some of the accessories were removed and others added. 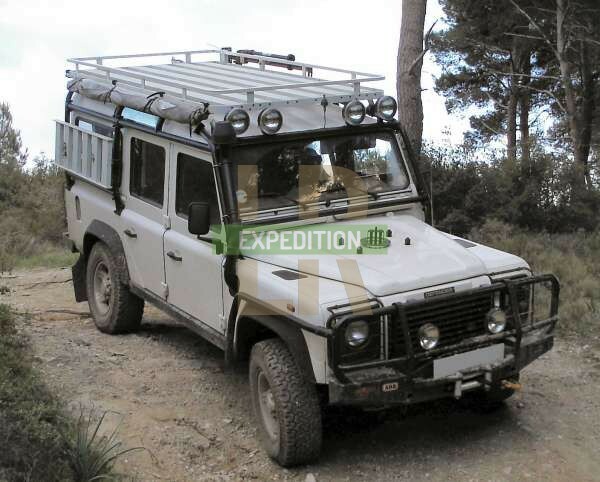 More interestingly, and fitting with the Australia hypothesis, I have this photo below in my collection from browsing the internet, that originated from a Patriot roof racks advert. I'm 99% certain that this is my vehicle. Everything it has is either identical to what my vehicle has, or there is evidence that it was fitted at some point, like the holes for the light guards and the wiring for the 4 roof spotlights. Some other bits could easily have been added later like the wing top chequerplate. The terrain in the photo also looks very typical to an Australian or Mediterranean landscape. Maybe the mystery is nicer rather than knowing the truth! For now, the vehicle is in "storage" and I am keeping my second Defender as my everyday vehicle. I may end up keeping both, or sell the new one into Canada when it turns 15 in 2019, where I feel like it would have value. I am lucky enough to have parents with space to store it!